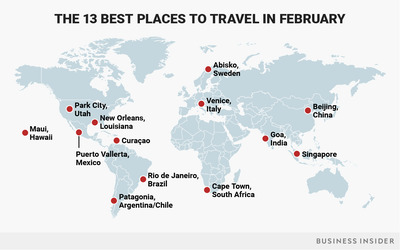 Samantha Lee/Business InsiderThe best places to visit in February. We’ve compiled 13 of the best places to visit for your February vacation. Flickr Creative CommonsA Mardi Gras parade in New Orleans, Louisiana. 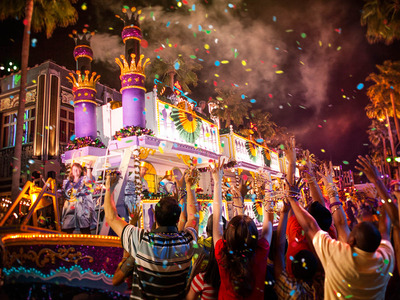 Of course, the main draw for the Big Easy in February is its epic Mardi Gras celebrations. Often called “the greatest free show on Earth,” Mardi Gras draws hundreds of thousands of visitors for days of parades and revelry. The biggest celebrations occur the weekend before Fat Tuesday itself, which falls on Feb. 13 in 2018. If big crowds aren’t your thing, there are endless things to do in New Orleans. Bars and restaurants on Frenchman Street offer live jazz in a cozier setting, while Jackson Square provides for world-class people-watching. Be sure to grab a poboy and some beignets before you go. ShutterstockPark City, Utah, in February. 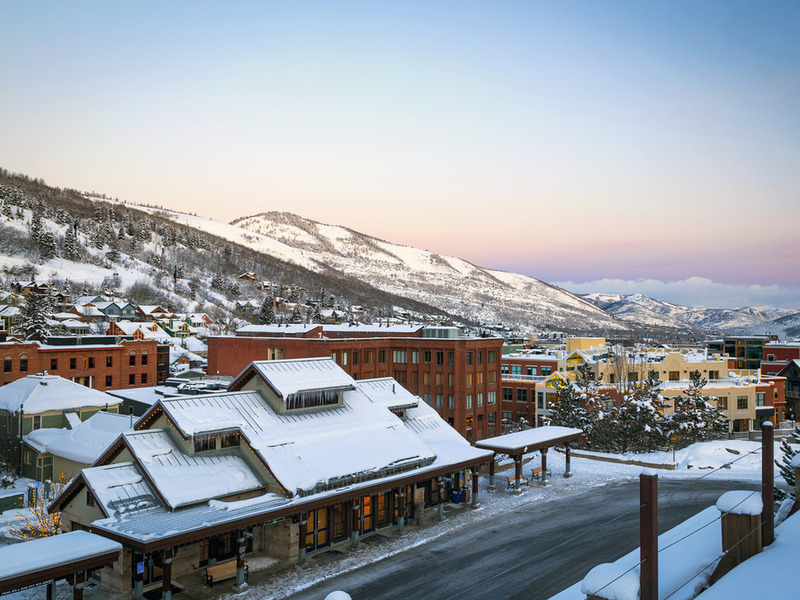 Simply put, Park City is a winter sports lover’s paradise. The town offers more than 400 downhill trails for skiing and snowboarding covering 3,300 acres. It also hosted events in bobsledding, skeleton, and luge during the 2002 Winter Olympics. 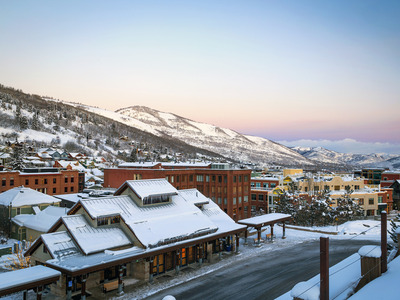 After you hit the slopes, you can take a stroll through the quaint, Old West-style Main Street or catch a show at the famous Egyptian Theatre, the site of the Sundance Film Festival in January. Conveniently, a town lift can transport you directly from the mountains to the center of town. Flickr Creative Commons/Joe ParksA beach on the island of Maui, Hawaii. 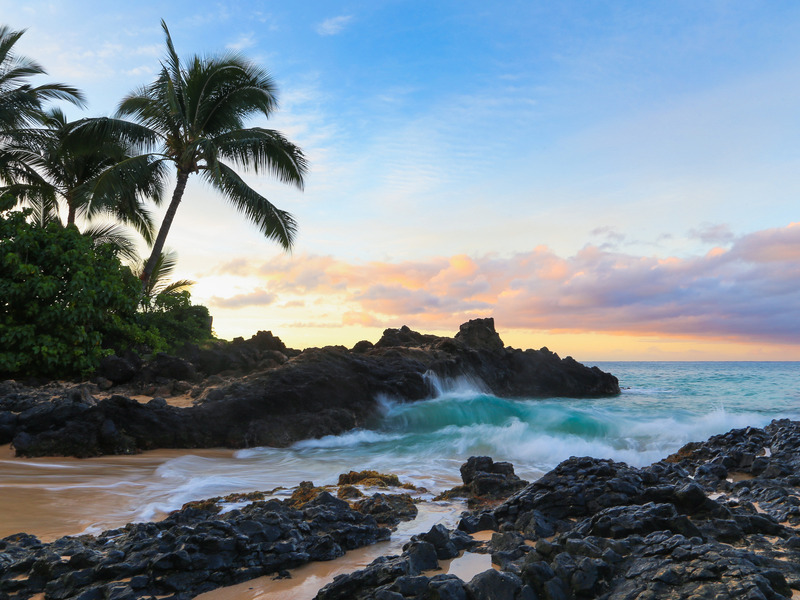 That’s the cheapest month of the year for airfare to Hawaii, coming off the heels of the holiday travel season, according to the airfare analysis site Hopper. Hotel rates also settle down after the holidays, making a budget vacation within reason. 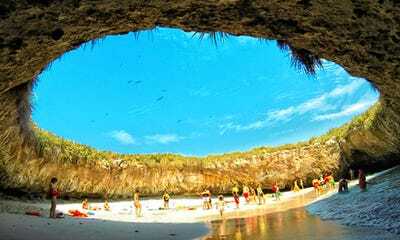 Flickr Creative CommonsPlaya Escondida (Hidden Beach) in Puerto Vallarta, Mexico. February seems like the best time to visit Puerto Vallarta, one of Mexico’s premier beach towns. The weather is perfect – mid-70s and 80s on average – and hordes of spring breakers have yet to descend, giving you a little more room to breathe than you’d get in March. Wikimedia CommonsA boat travels past the floating market in Willemstad, Curaçao. 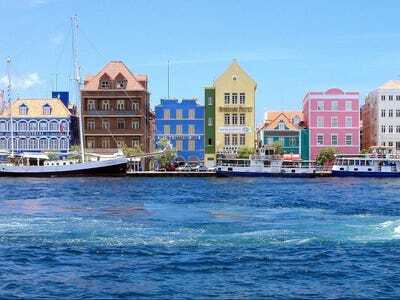 Curaçao is a veritable gem of a winter vacation spot, and according to Lonely Planet, it’s one of the most affordable Caribbean destinations. Apart from having some of the finest beaches in the Caribbean, the island boasts a diverse history that is manifested in its music, food, and arts scene. 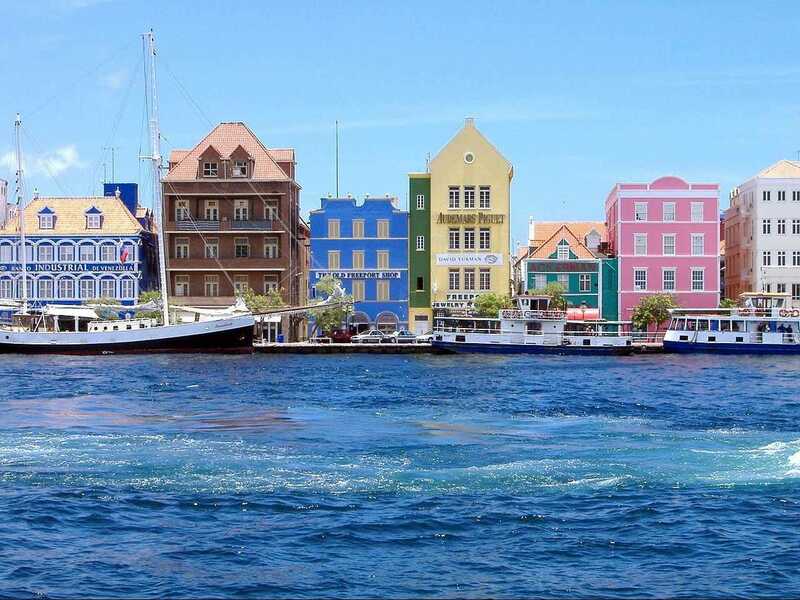 Willemstad, the capital city, is filled with brightly-coloured Dutch colonial buildings and has countless authentic restaurants and bars tucked along winding streets. The town’s floating market is another favourite of locals and visitors alike. In 2018, Carnival runs from Feb. 9 to Feb. 14. The flagship parades take place at the Sambadrome, where samba schools compete for the championship crown, but you’re likely to find a party no matter which part of the city you end up in. Spanish World GalleryTorres del Paine National Park in Chilean Patagonia. The season is ideal for hiking and trekking through the region’s stunning mountain landscape. 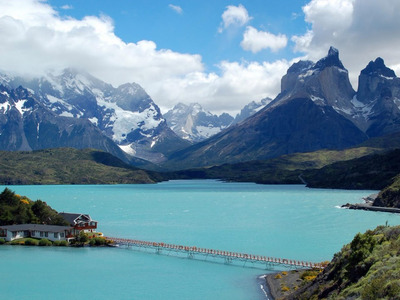 Highlights include the town of Bariloche in Argentina and Torre del Paines National Park in Chile. February is also a fine month for kayaking, horseback riding, and camping in Patagonia. For the traveller with extreme tastes, try a visit to Abisko, Sweden in the dead of winter, where nighttime temperatures often dip below zero. Situated 150 miles into the Arctic Circle, Abisko is practically the farthest north you can get in Europe. The town is known for its breathtaking views of the Northern Lights, which you’ll have good odds of seeing in the winter, when there are only a few hours of sunlight a day. 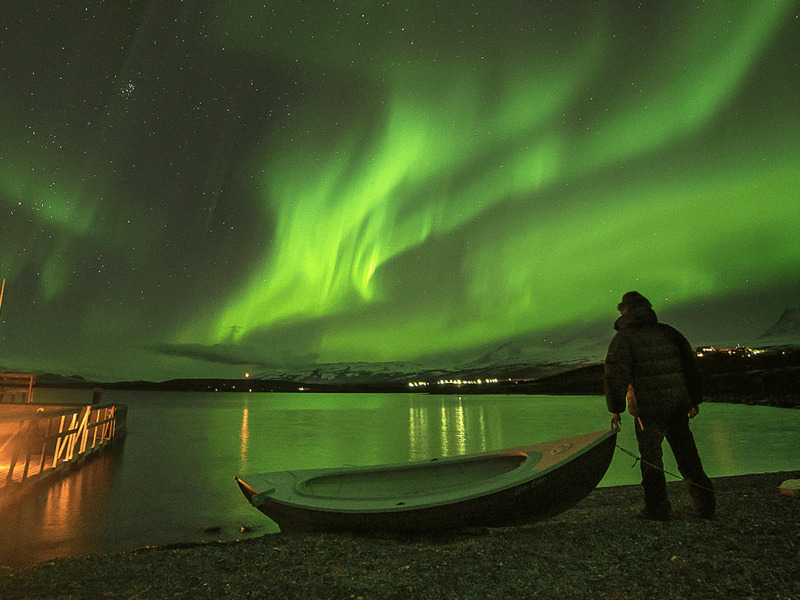 When you’re not skygazing in Abisko, you can enjoy the area’s majestic national parks, hike, and even go dogsledding. And if you’re willing to splurge a bit, a stay in the Icehotel provides a truly unique sleeping experience. Marco Secchi/Getty ImagesA woman dressed in a Carnival costume poses in front of gondolas in Saint Mark’s Square in Venice, Italy. Venice is a renowned vacation hotspot in the summer, but travellers say it’s the winter months that showcase the charm, elegance, and serenity of Italy’s Floating City. Unpredictable spells of rain often leave Venice’s winding canals shrouded in mist, adding a layer of enchantment to the city’s signature mode of transportation. Tourist attractions like Saint Mark’s Basilica often sit “blissfully empty,” as Fodor’s Travel described. And even if it’s below freezing outside, you can warm up with a hot cocoa at Caffè Florian, where the likes of Charles Dickens and Marcel Proust often visited. 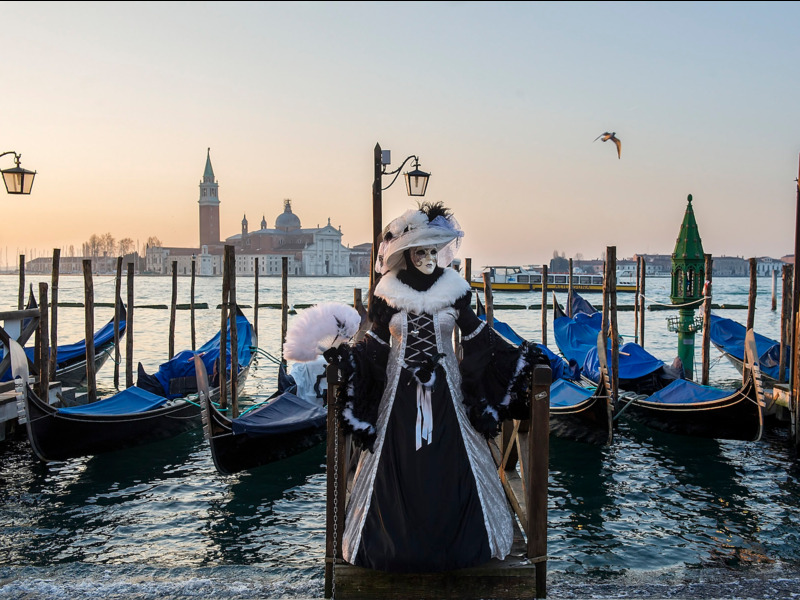 For a unique experience, time your visit to coincide with Venice’s Carnevale, which fills the city with music, street performances, and ballgoers in dazzling costumes. Carnevale runs from Jan. 27 to Feb. 13 in 2018. 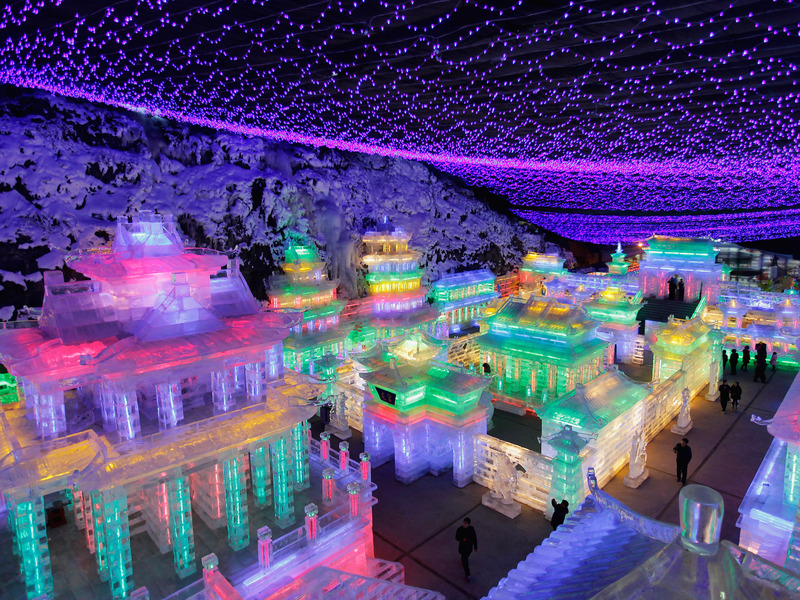 Lintao Zhang/Getty ImagesVisitors view ice sculptures at the end of the Lunar New Year celebrations in Beijing, China. What better place to bring in the Lunar New Year than China’s capital city? Beijing goes all out for New Year’s celebrations, and visitors can expect plenty of fireworks, food, and entertainment. 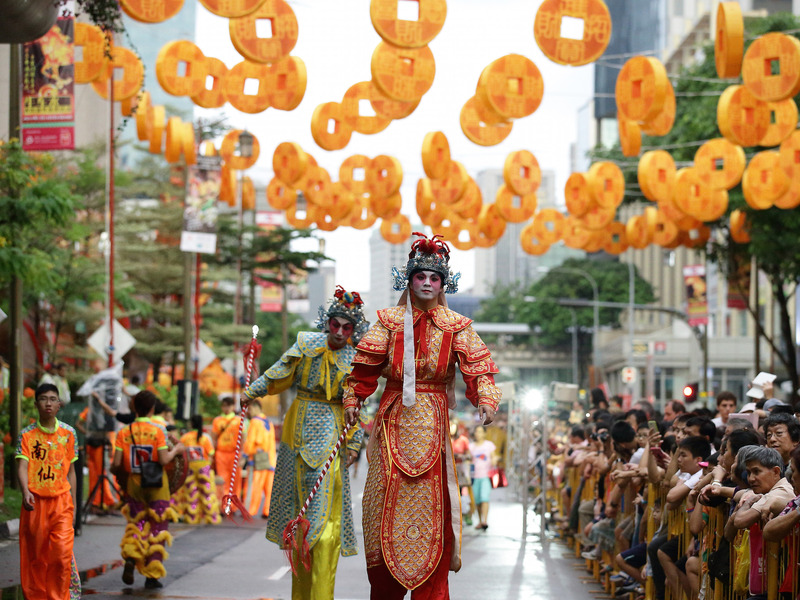 Suhaimi Abdullah/Getty ImagesA Chinese New Year celebration in Singapore. During the day, you can take advantage of Singapore’s cultural diversity with strolls through Indian, Malay, and Chinese neighbourhoods. Temple-hopping and food sampling are highly encouraged. Matjoe/ShutterstockLocal fishermen in the Mandovi River in Old Goa, India. 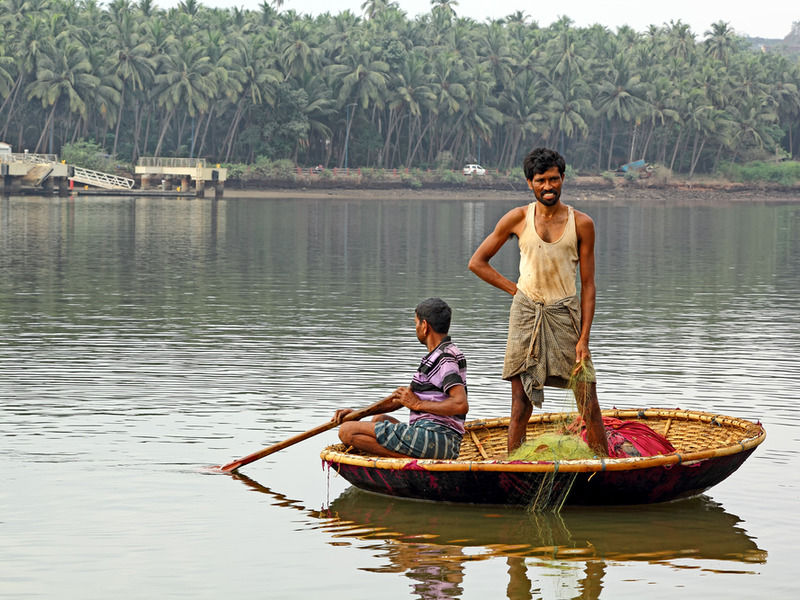 For a relaxing escape, try visiting Goa at the tail end of its peak season in February, when crowds start to thin out and tourist prices come down. The state’s pristine beaches and gorgeous weather make for the perfect winter getaway. Travel Cape TownAfrican penguins at Boulders Beach in Cape Town. Cape Town in February is ideal for wine lovers. Enjoy wine tastings or a picnic under the sun in Constantia Valley, the region that’s dotted with wine farms and has oak-lined streets. The area is also home to some of the best beaches in Africa, where you can surf, sunbathe, and admire the wildlife. 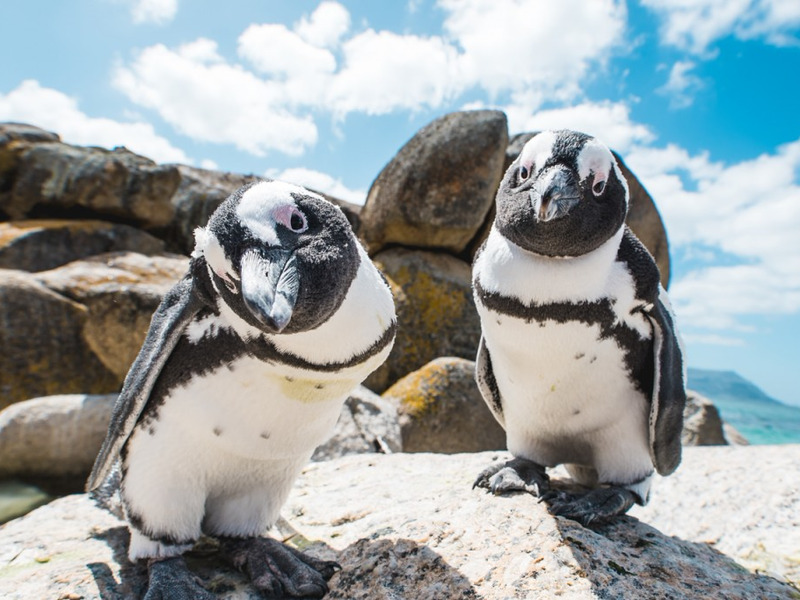 At nearby Boulders Beach, you can even get a close-up view of an African penguin colony – its called the shore its home since 1983.